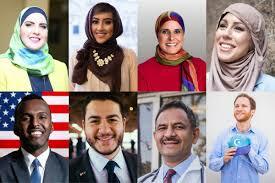 Months ago I wrote an article about muslims running in upcoming elections. Yesterday, I decided to see what they’ve been up to on Facebook. Nearly every single one of them posted about the anti gun march. Some of them even attended marches themselves. So first we have many muslims running in elections and now they’re calling for gun control. I don’t know about you, but I don’t like the sound of this. Next articleA Democrat candidate for Governor of Michigan. Who Are His Friends/Supporters?